Wounded Times: Air Force Medic Saved Life on Commercial Plane? Air Force Medic Saved Life on Commercial Plane? After visiting family in Santa Ana, California, Air Force Staff Sgt. 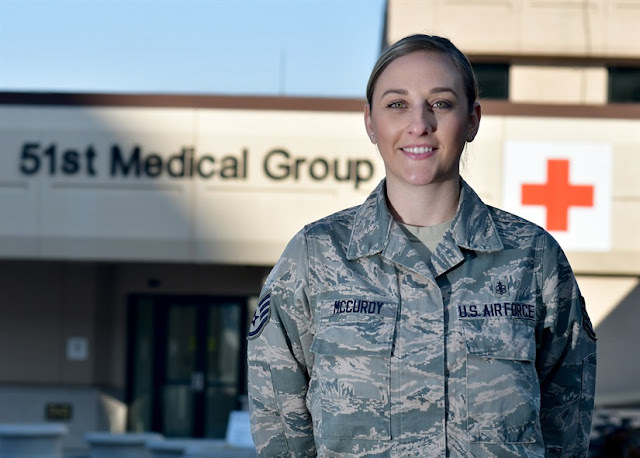 Cassidy McCurdy, an independent duty medical technician with the 51st Medical Group here, was heading back to his base on a connecting flight from San Francisco to Seattle, when things took an unexpected turn. McCurdy sprung to action to assess the situation. It took around two minutes of cardiopulmonary resuscitation for the victim to gain consciousness.